This panel provides insight into algorithms and the ethical implications of algorithmic performance. Aaron Beverage, Steve Holmes, Sergio Figueiredo, and John Gallagher put together theories and practices surrounding algorithmic rhetoric, social media captioning, recommendation algorithms, and algorithmic digital writing. Beyond simply categorizing algorithm as a neutral procedure with a “fixed self,” the panelists have sought to address the ethical consequences of algorithms in digital environments and to envision the future possibilities of algorithmic rhetoric as critical information literacy. Beverage opens the panel by showcasing a taxonomy of algorithmic rhetoric. Unlike top-down categorizations based on levels of specificity, Beverage notes that there is oftentimes a problematic conflation of computer programs that do not fall neatly under hierarchical categories–e.g., artificial intelligence (AI), algorithms, machine learning, neutral networks, simulations, and models. To understand how machine works, it is necessary that we address the issue of opacity in machine learning algorithms. While these algorithms have much to offer in filtering out pornographic videos, they also fail to filter out hate and violent speech that is often used to silence people. Beverage posits that it is thus quintessential that we turn towards algorithmic procedures to deal with how biases come through. 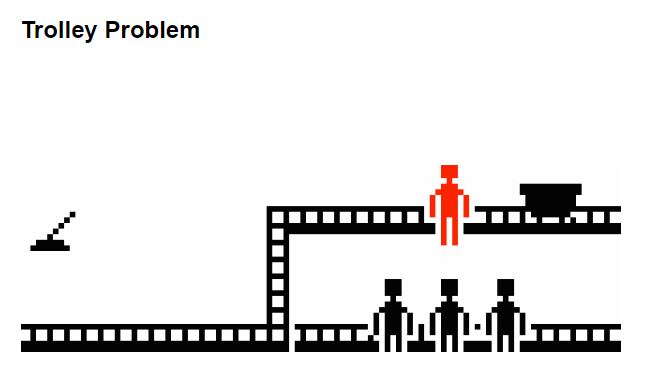 Drawing an analogy between algorithm and the black box, he stresses that algorithms cannot completely solve the problem of biases due to our limited access to how the decision making process works for algorithms. In other words, we have yet to gain full access to the output data, without which it might be daunting to question the application of algorithms. Furthermore, Holmes utilizes closed captioning in social media videos to illustrate the hexis of justice at play. There are multiple ways whereby closed captioning functions as an important site of action for formulating habituated practices in the combat against ableism. In “Deaf YouTubers Call Out Crappy Captions,” for instance, the deaf community has launched the #NoMoreCraptions movement to push back against the persistence of inaccurate captioning in YouTube videos. Holmes concludes his presentation by calling upon writing teachers and students to update the hexis of justice by contributing to accurate closed captioning. 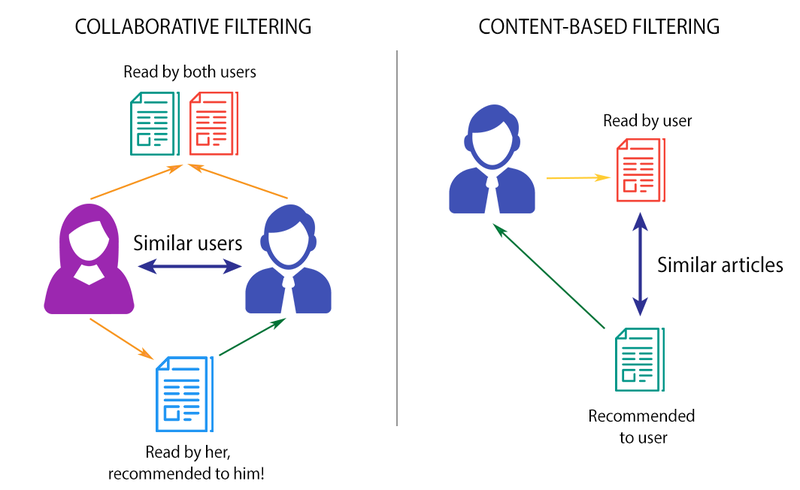 Recommendation algorithms, such as collaborative and content-based filtering procedures, are symbolic systems rooted in the assumption of our capability to categorize an “authentic, fixed self” by means of data collection and analysis. Figueiredo draws upon avant-garde ethics to reimagine how arts and humanities may adapt recommendation algorithms to addressing social equity issues. Montmartre Cabarets mark the beginning of the avant-garde movement in the 1880s (Ulmer, 2019). The avant-garde movement is indebted to the works of philosopher and mathematician John Venn, who theorizes symbolic language and the subsequent algorithmic logic; philosopher and hypnotist Joseph Delboeuf, who bridges symbolic logic in sciences with performative logic in the arts; and comic artist Rodolphe Töpffer, who uses comics to critique the algorithmic logic of pseudosciences. Figueiredo argues that essential to avant-garde art is a reorganization of social order in support of justice in public spheres. Figueiredo makes it clear that hacking recommendation algorithms constitutes an avant-garde rhetorical practice, with the ethical goal of questioning how algorithmic systems may (or may not) contribute to social well-being. According to Figueiredo, “Recommendation algorithms are to hackers what the nineteenth-century pseudo-sciences were to Töpffer and the artists performing in Montmartre cabarets: symbolic systems with the potential to trouble the steady progress of social life.” Avant-garde hackers engage in the symbolic practices of exploring the social, political, and institutional implications of digital technologies. Recognizing that the symbolic logic of recommendation algorithms propagates “viral content,” hackers reinvent the ethical use of the logic to advocate for public good. Through their artistic experiments and creative works, avant-garde hacker-artist-rhetors foster the capacities of publics to uphold democracy. One example of such work is Kelly and Polkinghorne’s (2017) public arts project Signs of the Times, which provides a critical response to the omnipresence of recommendation algorithms in our society. Inspired by these artistic experiments, Figueiredo expands transmodal and embodied writing practices (Shipka, 2016) into the public domain, and in so doing, encourages students to act as avant-garde rhetors by composing public art. Building off the previous panelists’ discussion of algorithms as black boxes, Gallagher focuses on examining the “afterlife” of digital writing, or the delivery stage after composition. For example, the afterlife takes place when writers go on book tours and use the internet to boost their work’s impact. Gallagher grounds his discussion in diverse conversations about circulation, especially in regard to remodeling delivery (Edwards, 2017; Gries, 2015; Porter, 2009; Ridolfo, 2012) and addressing algorithms, bots and propaganda (Laquintano & Vee, 2017). Circulation has been understood as the potential for a message to develop circulatory attributes, to be (re)distributed to audiences, and to draw audiences’ attention to the text. Gallagher argues that “by studying these neglected circulatory writing processes, we can better learn about what digital writers do after they’ve published a text and delivered an argument.” In the process of deciding which comments to respond to, for instance, writers build their digital ethos and shape their future writing. Since authors alter their activities in response to their audiences’ input, Gallagher reframes digital authors beyond the postmodern “death of the author” and toward writers who are “alive.” As such, digital authors adapt their styles to negotiate audiences online, strategically fusing different modalities of texts. Considering textual circulation in a temporal register, Gallagher notes that writers engage with three models of rhetorical time. 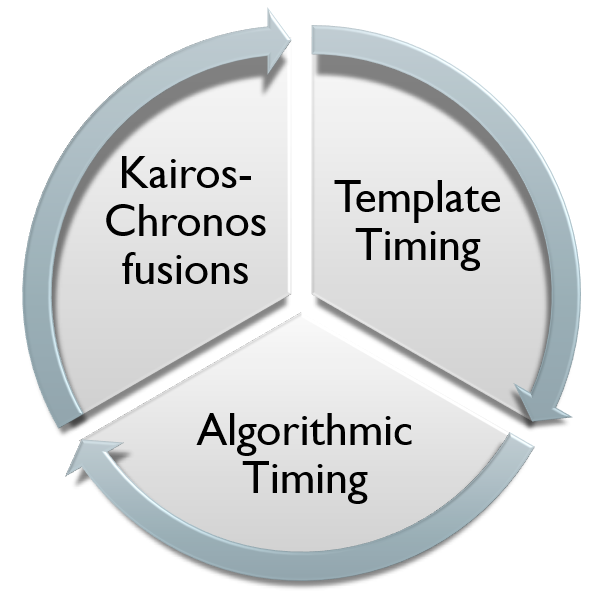 By way of fusing chronos and kairos approaches, writers combine their routine and contingent writing practices. Through template timing, writers consider how to time their writing according to the appearance of text on a screen or interface. Finally, through algorithmic timing, writers imagine how to time their writing based on their experiences with an algorithm. Towards the end of his presentation, Gallagher describes his upcoming book, Update Culture and the Afterlife of Digital Writing, which explores the decisions that writers make to address their participatory audiences. To further inquire into the writing process, he urges scholars to investigate what writers do after they publish and during circulation. Now that we are past the stage of preoccupation with digital technologies, it is time to interrogate the role of algorithms in shaping and misshaping ethical practices in digital media spaces. A common impulse threading through the four presentations is that algorithms tend to have a life of their own that oftentimes goes beyond the author’s control. Given such unpredictability and serendipity, the panelists have drawn our attention to the unintended consequences as well as pedagogical opportunities emerging from the networked effects of algorithms. Algorithmic rhetoric and studies, in this light, make space for cultivating critical information literacy in composition classrooms. 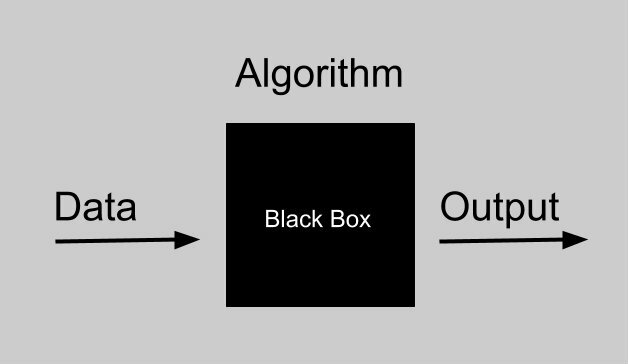 It may be interesting to create assignments that encourage composition students to inquire into what algorithms are, how they function, and why they are black boxes. It may also be interesting to reimagine digital writers to be “hackers” that creatively deconstruct the existing forms of algorithmic writing. Many thanks taking the time to view our panel as well as write up a very thoughtful review. It’s greatly appreciated. Thanks for your comment. I enjoyed attending such an insightful panel.